Misunderstandings or disagreements come up from time to time in a healthy relationship. A weak relationship can be seen when one partner always agree with the other. This means only one voice rules the relationship. A relationship such as this is not likely to last. On the other hand, frequent quarrels can hurt the stability of your relationship too. This could signify you two are simply two different people who are unable to meet at a common ground. Parting ways could be the best answer to finding each other’s happiness. If you feel your partner is the one, engaging in a fight with them hurts you the most. You know too well that you couldn’t imagine a future without them. Making up with the person you love is not that easy, especially when the hurt is deep. It takes a lot of effort to win their love and trust once again. In order to know how to appease your lover’s bleeding heart, the sign of their zodiac may provide you a guide. Be prompt and direct when asking forgiveness from your Aries lover before it would be too late. Aries doesn’t like it when you’re beating around the bush, nor are they patient enough to wait for the ‘right time’ to come. Admit your mistakes, ask the needed apology, and promise never to commit the same mistake again before Aries decides to jump into the dating pool. If ever it’s their ego you’ve hurt, a public apology might be all they need. Admit that they were right. Whether they admit it or not, but Taurus is the most stubborn sign in the Zodiac. Thus, it helps to admit that they were right in the first place. Crafting a plan for possible future conflict is a big help in dealing with such conflicts in a healthy and constructive manner. This will pacify your Taurus lover who is security-conscious. Humor has the power to break a Gemini’s reserve. Sending them a funny note of apology is a wise move. Make it quick because Gemini admires swiftness and decisiveness. Waiting is not their cup of tea. Communication is the best and fastest way to smooth things out between you and your Gemini lover. Allowing things to settle down for days is considered by Gemini as a sign of holding back. The Crabs are sensitive people whose feelings are easily bruised. It takes patience, delicacy, and tact to win them back. But if you tell them you can’t live without them, they may soften their hearts. If this trick won’t do, cook their favorite dish and keep on telling them how you only want the best for them. Always see to it that you meet the needs of your Cancer lover. A bit of flattery does it. As lions, Leos love flattery and lavish tributes. A profuse admission of your mistakes with a declaration that you don’t deserve their love are likely to melt a Leo’s heart. Shower them with gourmet chocolates and alluring flowers. This might do the trick as well as dressing well. Leo may accept you back once they see that you’re trying hard enough to win their affection back. Virgos don’t like foul language such as swears and curses. Try your best not to utter these words when you’re with them. If you mess up with them, win them back by cleaning up your act. Virgos appreciate it when you’re being on time and take the effort of tidying up your home. Don’t tend to be too emotional with them as they prefer dealing problems on a more logical way. A good book would be the best peace offering for Virgos. Libras need constant verbal and physical assurance. When you ask for an apology, make it formal through spoken or written communication. Remind them how serious you are in your relationship and that you are willing to change for the sake of having them back. See to it that you keep your romance alive and never forget to shower them with constant compliments. ‘Walk your talk’ is a mantra you should keep reminding yourself with a Scorpio lover because they’re individuals who see that words are meaningless unless you act on them. If you want to win them back, you have to take serious positive actions, like breaking a bad habit or giving up anything that challenges your relationship. You will thank yourself when you take a Scorpio’s complaint seriously and make efforts to satisfy their concerns. A pet is an affectionate peace offering. Being pet lovers, Sagittarians might be unable to resist when offered with a cute puppy or adorable kitten as peace offering. You have to have an open mind in dealing with a Sagittarius lover because they don’t follow rules nor social conventions. Befriending their pals or becoming one of the gang is the easiest path to making up with them. ‘Honesty is the best policy’. A Capricorn lover appreciates an honest and vocal partner. Spotting a lie is one of their strengths. You better back off if you want to use lying as a tool for covering up your mess. As much as they hate lying, the Goats dislike teasing as well. They don’t want to play around. If you’re serious in winning them back, admit your fault and do something that assures them of your love. Opening a savings account for your future together may pacify their desire of material security. Aquarius lovers are open-minded. Discussing issues with them over coffee is a wise move since they love swapping ideas with others. Try not to be emotional nor keep secrets with your Aquarius lover. They appreciate it more when you keep everything out into the open. 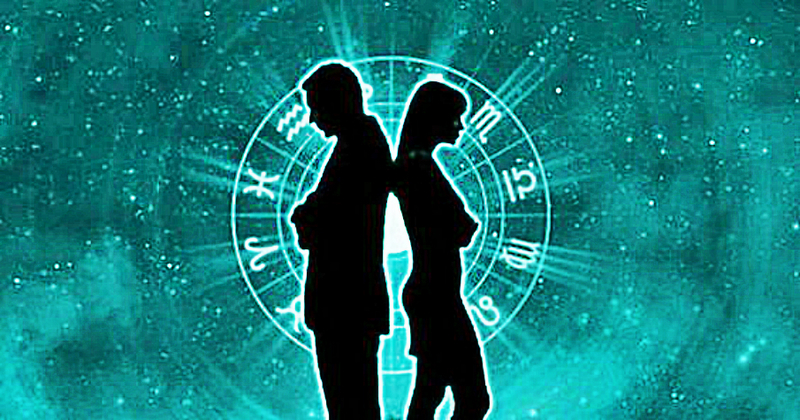 You will win the approval of your Aquarius lover if you’re more adventurous with them as well as follow their suggestions from time to time. Resist the urge to be possessive and demanding. Pisces are sensitive and compassionate souls who can’t stand in seeing the agony of others. They are fragile beings who need to be handled with care. In dealing with them, try not to be possessive and demanding. Pisces can’t breathe in a suffocating relationship. Be more tender and loving in making up with them. Expressing your love on a regular basis even if there’s no occasion will serve your relationship best.